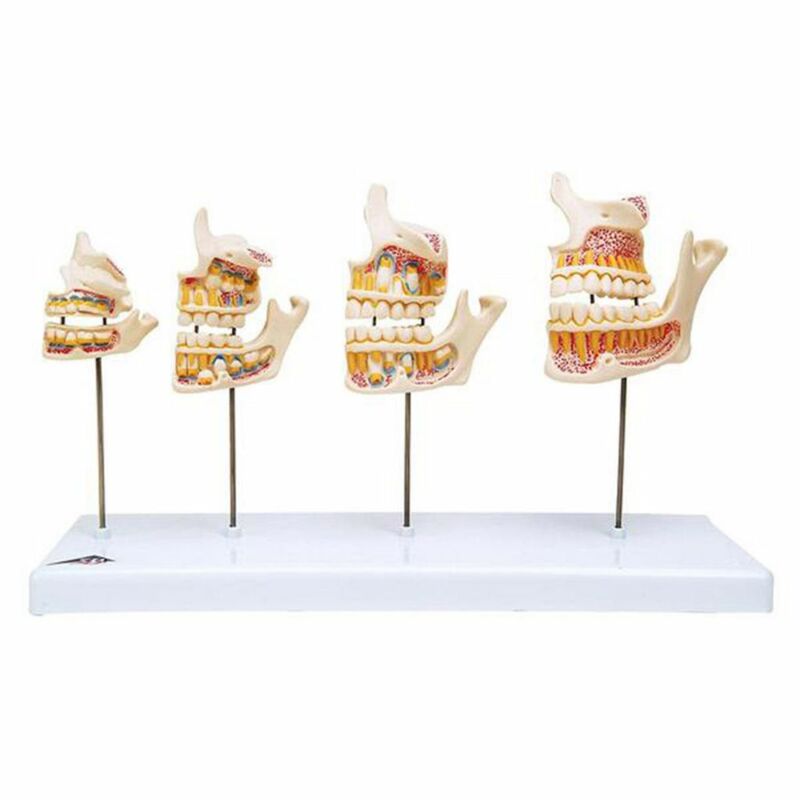 The dentition development model is cast from a natural specimen, 4 upper and lower jaw halves, 4 different stages of dentition development: New born, Approx. 5-year old child, Approx. 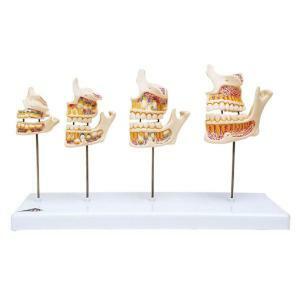 9-year old child, Young adult Dentition development model on a stand.